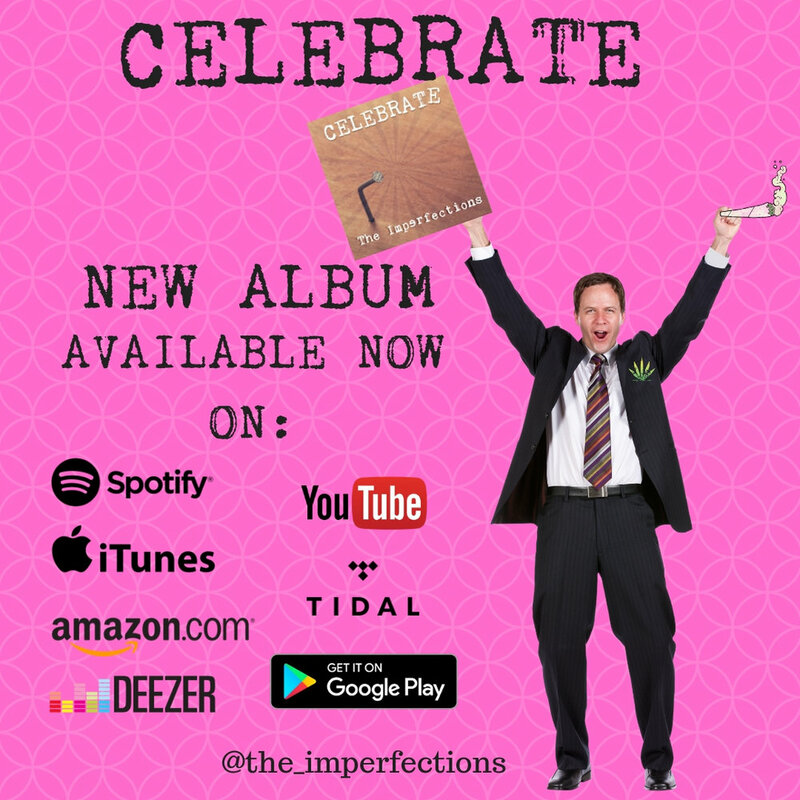 We are so incredibly excited to announce the release of our debut EP “Celebrate The Imperfections” AVAILABLE in DIGITAL form EVERYWHERE music is STREAMED or DOWNLOADED. We put our hearts into every note and felt such a great connection with everyone who donated to our GoFundMe campaign - this WOULD NOT BE POSSIBLE without your generosity and belief in us and we are beyond grateful for each and every one of you. This whole project began early last winter and to see it come to fruition now is a very satisfying, humbling, and rewarding experience. Having a song idea in your head and never knowing if it will turn out quite like you hear it can be a troubling time, but working with talented, positive people who help you see your vision to completion - can be a very therapeutic experience. Everything is right in the world again. The song can rest - It is officially out of my head and on “tape” (or vinyl or CD or digital). Once again a HUGE thank you to everyone who helped make this album a reality - we have more exciting news coming VERY SOON!